The Orchid Grandeur in Rajarhat, Kolkata East by The Orchid Group is a residential project. The size of the Apartment ranges in between 1620.0 sq.ft. 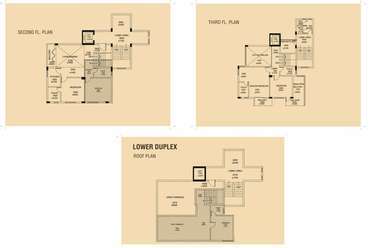 and 2985.0 sq.ft. The Orchid Grandeur price ranges from 76.99 Lacs to 1.29 Cr. The Orchid Grandeur offers facilities such as Gymnasium and Lift. It also has amenities like Badminton court, Jogging track and Swimming pool. Bank loan approved from IDBI Bank Ltd., Indiabulls, Dewan Housing Finance Corporation Limited (DHFL) and GIC Housing Finance Limited. It is an under construction project with possession offered in May, 2019. The project is spread over a total area of 2 acres of land. The Orchid Grandeur has a total of 8 towers. The construction is of 5 floors. An accommodation of 96 units has been provided. The Orchid Grandeur brochure is also available for easy reference. What is the project location?The project is located at Rajarhat, Kolkata East. What are sizes of apartments in The Orchid Grandeur? The apartment sizes in the project range from 1620.0 sqft to 2985.0 sqft. What is total area of 3 bhk in The Orchid Grandeur? 3 BHK units in the project are available in a size of 1620.0 sqft to 2140.0 sqft. What is size of 4 bhk in The Orchid Grandeur? The area of 4 BHK apartments is 2985.0 sqft. 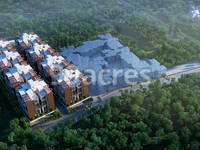 How much is the actual area of The Orchid Grandeur?The area of the project is 2.0 Acres. What is tentative possession date of The Orchid Grandeur?The project is expected to be delivered by May 2019. A renowned name in the real estate market of Kolkata, The Orchid Group was established with an aim to explore and provide housing services to the customers. Within a short span of time, the company has carved a niche for itself in the real estate industry and has made admirable progress having completed many exemplary projects. Committed to providing quality real estate services, the company ensures that its customers get utmost value and satisfaction through its projects. When the property would be completed for hand over because it started in 2012 and supposed to complete within 24 months.